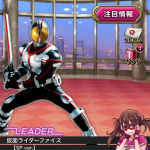 Without doubt, you can find a smart phone application for almost anything—including our beloved spandexed or armored heroes in Japan. 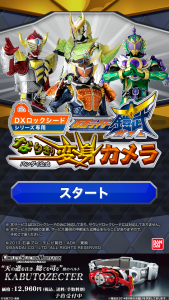 Here’s a run-down of some official tokusatsu apps and their purpose! Note: These applications are available in the Japanese iOS/Android stores. You can find several tutorials around the web on creating iTunes Store accounts in countries outside of your own. 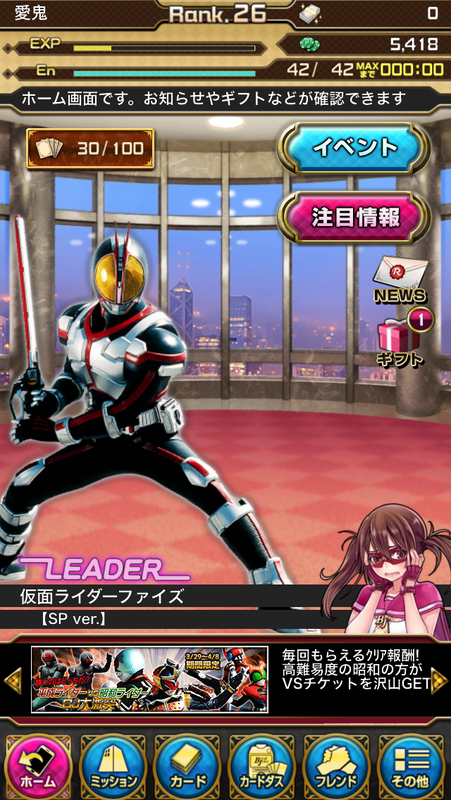 Here we have two mobile TCG-style games, featuring both Kamen Rider and Super Sentai! The most exciting part of both titles is collecting cards with your favorite heroes and building your ultimate deck! These two games, albeit from separate properties, have a very similar gameplay. You collect cards by fighting against common grunts in missions, winning them via the gacha (capsule) machines, or by completing log-in bonuses. You’re soon able to create decks with the strongest cards you have available, making missions and boss battles easier! New and old heroes alike are available, and each game readily updates with the current on-air hero, so there are always new and exciting cards and card upgrades! As with most games, there are several in-app purchase options, but you can play both games enjoyably without purchasing anything.You’ll also run into some of your favorite (or not) villains from throughout the legacy of each series. This all leads you into creating legendary battles never seen before! Kamen Rider Fourze and V3 defeating DaiShocker? Why not! Bioman throwing down with Shadow grunts? Totally possible! 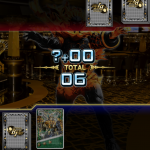 Kamen Rider BreakJoker is another card game, but with a slight twist—it’s actually based on the playing card game Blackjack! As in the TCG games, you can also collect cards with various Riders, strengths, and boosts and build an unstoppable deck. 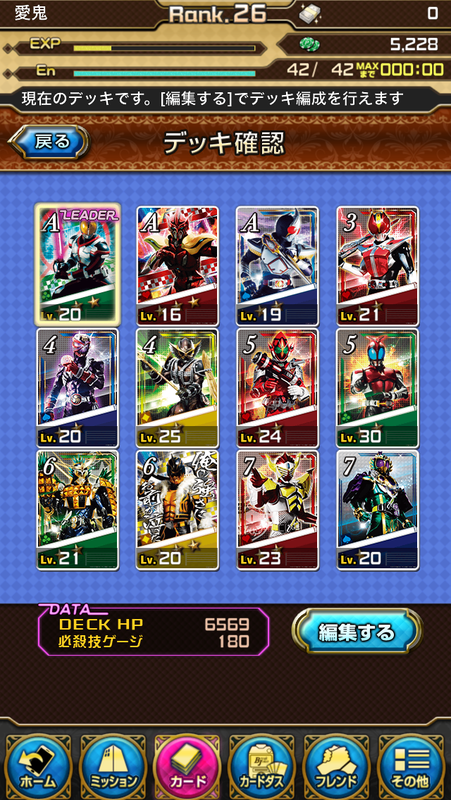 However, your missions are to get the highest number of cards or lucky 21 against various Kamen Rider villains. Unlike in the other TCG games, you have the ability to collect cards featuring villains, as well! All your cards will feature a number or letter, just like in a deck of playing cards. You can only have three of each card type in one deck. 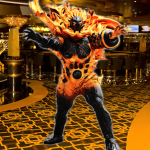 By picking the strongest, your attacks when you beat your opponent at Blackjack will be greater. 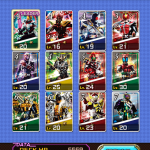 Another trait unique to BreakJoker is the ability to scan and use real cards from the popular Kamen Rider Battle: Ganbaride series in-game! 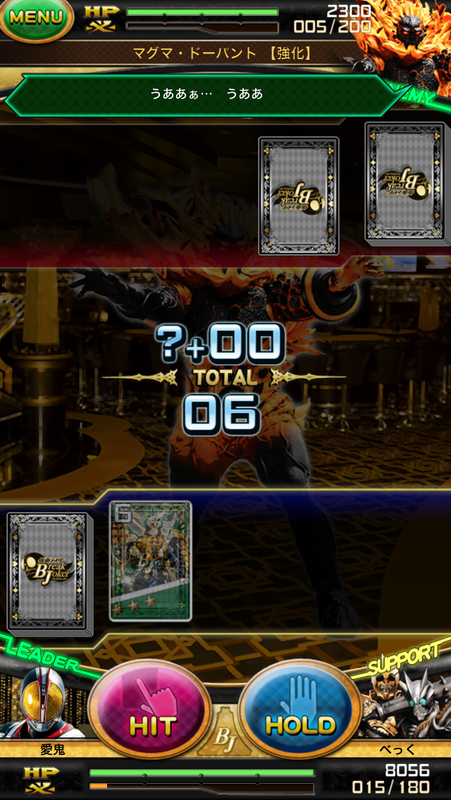 By scanning the cards’ information, you can obtain even more cards to defeat foes! 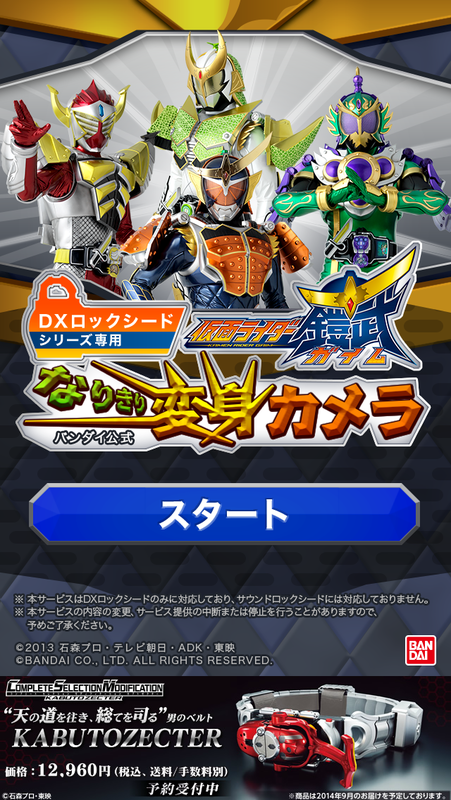 This game is marketed more towards older Kamen Rider fans, but can be enjoyed by all! Gashapon, or capsule machines, are a hugely popular staple in Japan. By depositing money, you get a capsule filled with a toy in the most general sense. There are tons of capsule machines available, offering prizes of different properties, sizes, and rarity—making it sort of a collector’s dream. However, there is the problem of receiving duplicates of items, which makes it somewhat nightmarish, as well. Bandai managed to figure out a way to make collecting these capsules fun and painless, with applications dedicated to them both. You’re given five coins at the start, which then regenerate hourly. Collectors can now play gacha machines without losing actual money and still have the thrill of getting mini figurines from their favorite series! 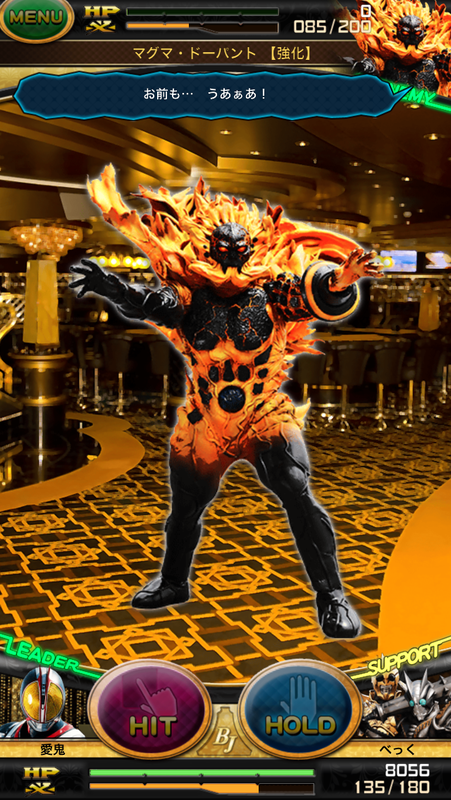 A new trend in Kamen Rider applications are those that give you the ability to henshin, or transform, into your favorite Rider! 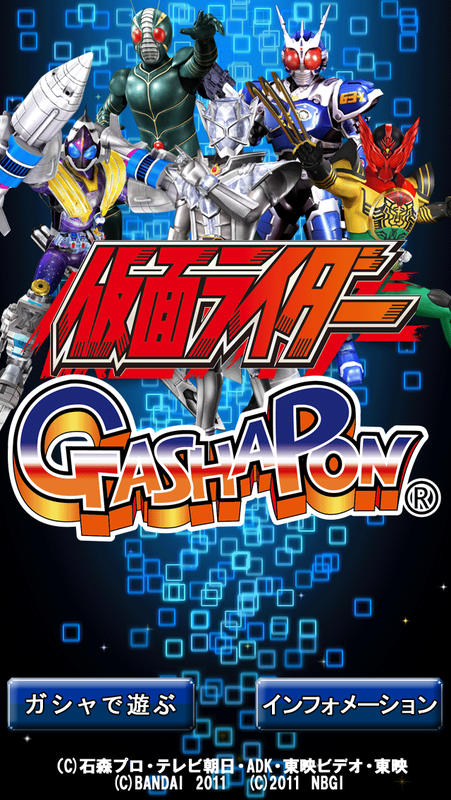 Currently available are Kamen Rider Wizard and Kamen Rider Gaim versions of these applications. 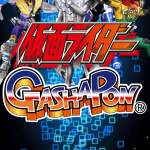 You have a friend film you doing the initial henshin pose of the Rider you’re transforming into, and the application will render a video with graphics and sound effects, helping you transform into your favorite hero! 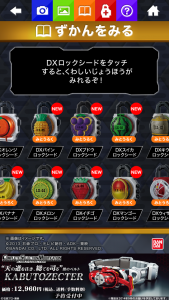 Also within the applications are digital versions of each respective Rider‘s henshin devices: for example, Wizard‘s rings and Gaim‘s lockseeds. Currently, the Kamen Rider Gaim Narikiri Henshin application has updated with the latest lockseed, Kachidoki Arms!